Symphony of Ideas – Learning and teaching in no particular order. To me, the philosophical implication for this change is that the primary function and goal of education is to build capacity for action. Within the context of the IB, the Learner Profile describes the attributes within which that capacity can increase. For example, a learner may increase agency in the context of historical understanding by becoming more Knowledgeable about history, or increase agency for conflict resolution by taking Principled and Courageous action. This is more than transformational: It’s revolutionary. Anyone familiar with the industrial model of education (pretty much everyone) should be skeptical about our capacity for this reform. This 180° turn way from standards- and competency-based pedagogy has a few precedents, and I am curious to learn more about classrooms and schools where independence and agency have been assigned top priority. One school system who fits this paradigm and whose progress I have enjoyed following is High Tech High. Most of what they have shared is related to older students, so I’m curious to see more about their elementary programs. 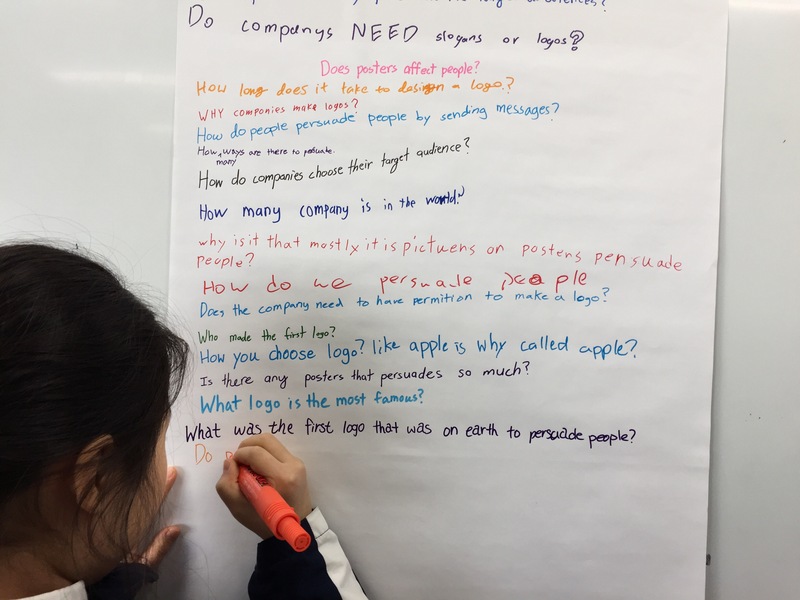 Agency as the aim of teaching has been gaining momentum since John Dewey at the latest, and can arguably be traced back at least as far as Socrates. Luckily, my teaching experiences have tended to be less traditional and more progressively minded, and the article, How a Focus on Independent Learning Transformed My Most At-Risk Students, certainly reflects my ideas about the importance of independence in learning. We make our own agency, no? Unify learning at school, learning at home, and learning anywhere, anytime. Empower learners to engage in and reflect on their own inquiry processes. Encourage interest- and passion-driven learning. Integrate peers, parents, communities, and global networks into the inquiry process. While success has varied from year to year, cohort to cohort, I can comfortably claim that the process we use – an online reflection form and weekly meeting in class – helps agency to flourish. Once again, another gem appeared on the IB PYP Twitter feed. The quote below is a perfect call to action for teachers who are serious about promoting Agency – voice, choice, and ownership. One of my favorite units of inquiry in Grade 4 at KIST, in the theme of ‘How the world works’, is titled Force & Motion, and focuses on Newton’s Laws of Motion. The unit resources when I arrived at the school included a few useful tools for demonstrations, but lacked class sets of items and structured experiences that students could use to explore and discuss. One resource we do have is access to excellent videos and online games. Some of our favorites are published by NASA and other space agencies, like Launchpad: Newton’s Laws On-Board the International Space Station (video), and the Physics Games website. Twitter once again proved its worth as a tool for learning in the quoted tweet above, a live video of an astronaut playing with and observing a fidget spinner in microgravity. All of the media we have collected are engaging, but can’t compete with a fidget spinner for the attention of nine year olds. Each year, we have added materials and experiences to make the unit more visceral and fun. To kick off the unit, we introduced an initial provocation in the form of a G4 Water Balloon Drop Challenge. Using the rules outlined in the flyer, students research, design, and build their apparatuses independently outside of class. When we gather on the appointed day, I load each with a water balloon and drop them from the second floor balcony. Those that successfully protect the balloon are taken to the third floor and dropped again. The proud few that survive that are finally dropped from the fourth floor. We often have visiting administrators and younger classes in the audience, so the event has become a well anticipated and exciting way to get our students thinking about forces and motion. Next, we collaborated with our Physical Education teacher to organize a tug-of-war tournament. Between each round of competition, each team reflected on one of Newton’s Laws of Motion to try to improve their performance. My hope is that whenever these children think about physics or Newton, they will remember this event. Additionally, by systematically reviewing each of the laws during the tournament, there is definitely higher retention of the vocabulary of Newton’s Laws. This year, our new addition was a set of Newton’s Cradles. With enough for a pair of students to share one, I wrote a series of questions to add some guidance to their explorations, for example, ‘What happens when you raise and release one of the hanging balls?’. While it is possible to demonstrate a Newton’s Cradle at the front of the classroom, and that would be better than watching a video, having one that every student could touch, see, and hear, up close, instantly transforms the lesson from passive to active. Finally, as the culminating Summative Assessment Task for the unit, we ordered 1cm x 1cm x 90cm lengths of wood, nails, hammers, hacksaws, and safety goggles for the purpose of building catapults. The objectives were to expose the students to basic design and construction principles, explore Newton’s Laws of Motion in a practical way, then hold a grand catapult tournament on the main field in the center of the school. Having facilitated a Maker Club in the past, I was aware of the need to emphasize safety early on, but also to trust the students to look after their own well being. I find it’s best if my role is mainly to watch out for unsafe practices and intervene as quickly as possible. Fortunately, it happens rarely, leaving a high degree of autonomy for students and plenty of time for me to interact and promote collaboration among the groups. Children constantly impress me with their ability to creatively solve problems when they are trusted with the tools and freedom to do so. There were many expected and unexpected benefits of this engagement. The expected ones were quite predictable, but unexpectedly, some of my less precocious students absolutely sprung to life. Some students who tend to be distracted in typical class activities, or struggle with academic work, were impressively inspired by the task of building a catapult. This phenomenon has caused me to think that the way we tend to use class time is unbalanced. Observing the excited energy and positive experiences of my students interacting with concepts and vocabulary of physics has pushed my pedagogical thinking even further in the direction of Constructionism. The idea that a learner figuratively builds understanding by literally building a physical – or virtual – object gains traction for me every time I see it in action. In terms of assessment for the catapult challenge, I think it’s appropriate to use the method I employed for our Model UN scrimmage: Every student begins with a baseline ‘proficient’ score. In this case, we start with 90%. Then, as the activity progresses, teachers use structured observation to modify students’ scores on targeted skills. For this activity, we were looking for evidence of Spatial Awareness, Cooperation, and Independence. And as always, the students complete a comprehensive self-assessment of all elements of task and unit. Experiences like these remind me that school should be a lot more time spent doing tasks like these, and a lot less about rigid standards within a few disciplines. Inspired by a colleague’s presentation during the KIST ‘Teach together; learn together’ professional development event, I took a more formal approach to the impact cycle than I have in the past. First, I copied the raw data from my students’ diagnostic assessments into an Excel spreadsheet. I added a row at the bottom to show the average result of each test item as a percentage, then used conditional formatting to create a visual perspective into the data. This allowed me to identify a general area of need: Reading. Then I simply copied and pasted the test items with average results of less than 50% along with the corresponding learning outcome indicated in the test documentation. The common weak thread, in my analysis, can be expressed by the verbs ‘describe’ and ‘explain’. Surprisingly, in Bloom’s Taxonomy, these terms are associated with Knowledge and Comprehension, or ‘lower’ order thinking. One issue involves the outcomes related to author’s purpose. Put bluntly, there is no such learning outcome in the standards for Grade 4 at KIST. The students are being assessed in a high stakes manner on learning outcomes that the school doesn’t explicitly teach. I, of course, can add standards about author’s purpose to my working documents. Indeed, that is the purpose of this impact intervention. However, it’s clear that teachers’ voices are needed in the development of the school’s assessment and planning documents to ensure that they are relevant and in alignment with one another. My plan for having a measurable impact on student learning is to ensure that they are exposed to the idea of author’s purpose, and explore it in a variety of ways in our guided reading sessions. This can be done by direct mini lessons and reinforced by revisiting the concept whenever we encounter a novel or remarkable example in the texts we explore. Another approach would be through precising and close reading of a master text. For this, the grade four team selected an abridged version of Swiss Family Robinson to be integrated with our unit of inquiry in April and May. This plan might be our students’ first opportunity to read a novel together. The text uses rich vocabulary and imagery, so I believe there will be many opportunities to analyze and summarize selections, and hypothesize about Mr Wyss’ purpose for various literary choices. To avoid over-assessing my students, I will plan to use the end-of-year English Diagnostic Assessment, of the same type as the one at the start of they year, to measure impact. Throughout the school year, I have assessed and gathered data on a wide variety of learning outcomes informally during guided reading sessions, but this will be the only formal assessment of the learning outcome of author’s purpose. There has been so much hype about mindfulness that it is easy to be skeptical about its efficacy in the classroom. However, my father, a biologist with a background in neurophysiology research, practiced Zen meditation for reasons not remotely related to the transcendental or supernatural. He did it because meditation is good for the brain. He shared the practice with me as a teenager after observing that nervousness was preventing me from achieving my best performance as a pitcher in little league baseball. His perspective is reflected in Carolyn Gregoire’s article, What Neuroscience Can Teach Us About Compassion, which explores the synergy of meditation, compassion, and understanding. Early in my career, I discovered that if I asked my second grade class to pause at the door to our classroom after recess for a deep breath, coaching them to expand their abdomen for the inhalation and exhale as slowly as possible, their engagement and ability to focus was uncannily enhanced. Last year, I encouraged my fourth graders to practice mindfulness for a few minutes after eating their lunch. They were a generally calm and thoughtful cohort and the practice seemed to benefit their focus and general mood of the classroom. This year, I prepared for a class that already had a reputation for high energy, acting impulsively, and lacking attention skills. The plan was to practice mindfulness as a class for five minutes immediately after returning from morning recess. In the first week of school, we meditated for one minute. Then, for two minutes. I coached the students in various techniques such as breathing, counting exercises, and visualization. It also seemed to help convince them of the importance of meditation to describe how athletes, artists, and other professionals use mindfulness to improve their performance. I was thrilled to receive an email from a grateful parent, who happens to be a physician, thanking me for introducing mindfulness to her child. ‘I think it is so important that children observe their feeling and that they themselves lead an answer for their next move from themselves and being mindful really helps them to do this. Finally, when we could consistently sit silently for five minutes, we began using Simple Habit recordings to guide and practice. I should point out that the rules for our meditations are not strict. The students are not required to close their eyes, nor do I question them about their level of participation. As long as they sit silently, including reading a book, it is fine. It’s difficult to assess any effect our meditation is having, although for certain it helps to instill a sense of calm in the classroom after morning recess. It is also a discreet opportunity to practice being Reflective. For that alone, it is worth continuing. But considering the possible benefits meditation can have for individuals, this could be a simple initiative with profound and lasting impact.